In addition to being one of the key ways we experience the world around us, giving us the power of sight, the eyes can express emotion and feeling in an instant. The eyes are one of the key facial features we first make contact with as we interact with our loved ones, friends, and business acquaintances. While aging eyelids can convey a sense of experience and worldliness, they can also give the appearance of perhaps being tired and worn out, or perhaps suggesting an age beyond one’s actual age. Blepharoplasty is a surgical procedure designed to address age-related changes to the upper and lower eyelids. The procedure typically involves excision of excess skin of the upper and lower eyelids, as well as correction of bulging fat of the upper and lower eyelids. In addition to addressing, eyelid appearance, blepharoplasties can also address weakness or laxity of the eyelid muscles (eyelid ptosis) that are responsible for elevation of the upper eyelid. In the instance of documented eyelid dysfunction due to upper eyelid heaviness, a blepharoplasty can be considered a more functional operation that insurance companies may cover. Blepharoplasties are frequently combined with other facial rejuvenation procedures to address global signs of facial aging in a more holistic manner. Blepharoplasties may not be suitable in certain patients with a history of dry eyes, certain ophthalmologic diseases such as glaucoma, a history of eye surgery, or certain medical conditions such as diabetes or hypothyroidism. Dr. Neil J. Zemmel will perform a thorough evaluation as part of your consultation. They may request a full ophthalmologic exam prior to surgery. Am I Too Young for Blepharoplasty? 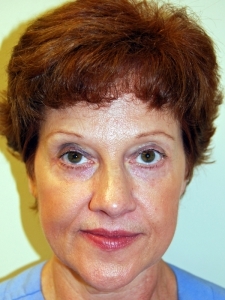 The changes to the upper and lower eyelids that blepharoplasties address can occur at any age. The typical man or women seeking blepharoplasty surgery is in their 40s and beyond. Patients as early as their 20s can show some bagging or skin excess that can be addressed with a blepharoplasty. A small subset of patients in their early 20s may show signs of bulging of the lower eyelids called congenital fat herniation. This may have been present from birth and these patients often are excellent candidates for a less invasive transconjunctival blepharoplasty. The upper eyelid blepharoplasty involves designing a series of incisions that parallel the natural shape of the upper eyelid that includes the loose skin to be removed by the procedure. This incision is designed in such a way so that it is hidden within a specific crease of the upper lid and is then extended into one of the lines of the “crow’s feet.” Once the extra skin is removed, any fat bulging from the portion of the upper lid adjacent to the forehead can be removed. Care is taken to not overly excise this fat to prevent a “hollowed out” appearance following surgery. If indicated, any repair of the muscles that assist in eyelid elevation can be performed at this point of the operation. The skin incisions are then closed with sutures that usually dissolve without the need for removal. Lower lid blepharoplasties are performed in two different ways, depending on a patient’s individual needs for eyelid rejuvenation. 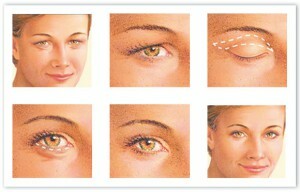 One approach is an incision along the inside of the eyelid that is completely hidden. This approach is called a transconjunctival blepharoplasty. This incision is useful in patients with good tone in the eyelid skin and supporting structures but with bulging fat pockets. This approach is useful in younger patients that exhibit bagging of the lower lids without much loose skin. The transconjunctival incision is concealed within the eyelid, thereby avoiding a visible scar, and it is useful in a select number of patients. The more common incision used in lower lid blepharoplasties is an incision that is placed a few millimeters below the lower lid lash line. The incision parallels the lash line and is then typically extended to hide in one of the “crow’s feet” lines. After the incision is made, the underlying lid structures are exposed. Through this exposure, bulging fat pads can be addressed. Rather than completely removing these fatty pockets, the fat can be repositioned fill the “tear troughs.” Through this approach, laxity of the ligaments that support the eyelid to the orbital rim can be tightened or repositioned, if necessary. In the case of patients with more extensive sagging along the cheek, the lower lid blepharoplasty can be combined with a lifting procedure of the cheek (a midface lift). This approach may be useful in the patient with age-related changes limited to the eyelids and cheeks. Often, blepharoplasties are combined with other facial surgical procedures, such as a facelift, brow lift, or neck lift in order to achieve a more balanced and individualized result. What Can I Expect During My Blepharoplasty Consultation? Your surgeon will take a detailed ophthalmologic history. Please let them know if you have an issue with dry eyes, wear contact lenses, or have undergone Lasik surgery. It would be helpful to bring any recent records from your ophthalmologist or optometrist, if available. You will also undergo a thorough global medical history in order to identify risk factors that may affect your results. These include uncontrolled hypertension, diabetes, hypothyroidism and Grave’s disease. Please provide a list of all current medications—prescription and over-the-counter, vitamins, and herbal supplements. After determining your candidacy for the procedure, Dr. Zemmel may recommend upper blepharoplasty, lower blepharoplasty, or a combination of the two. He will then design a detailed surgical plan that can address your specific goals for surgery. Dr. Zemmel will review the operative plan, risks and potential complications, and realistic results that can be achieved with surgery. In cases where upper eyelid skin may be affecting your visual fields, he may request additional non-invasive testing from your ophthalmologist or optometrist, prior to surgery. How Is the Blepharoplasty Procedure Performed? On the day of eyelid surgery, you will meet your doctor before surgery to ask any final questions that you may have. You will meet a Board Certified Anesthesiologist and Nurse Anesthetist who will provide your anesthesia. Please inform the Anesthesia team of any particular difficulties you may have had with prior surgeries, especially anesthesia-related nausea. You will meet our experienced intraoperative nursing staff who will care for you during surgery. Blepharoplasties can usually be performed under deep sedation; however, a general anesthesia may be used when blepharoplasties are combined with other facial plastic surgery procedures. Patients frequently choose to combine blepharoplasty with an additional procedure such as a facelift, browlift, or neck lift for a more complete rejuvenation. During an upper blepharoplasty, Dr. Zemmel will typically place the incision along the natural crease of the eyelid, which helps conceal any scarring. 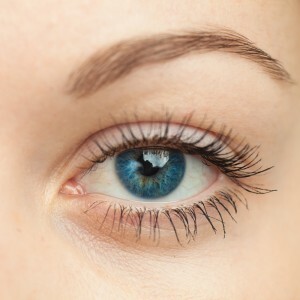 This incision may also extend beyond the outer corner of the eye, in which case the incision can be concealed within a laugh line or crow’s feet. For lower blepharoplasty, Dr. Zemmel will typically make an incision that follows the natural curve of the lower lashes just below the lash line. Oftentimes, lower blepharoplasty allows Dr. Zemmel to sculpt and reposition under-eye fatty tissue, removing any excess while also filling in hollowed areas around the eye such as the tear trough. These techniques can achieve results that look natural and youthful. The length of surgery will be dependent on how much will be corrected in surgery. However, typical blepharoplasty procedures usually take approximately 1 to 2 hours. Surgical times will be longer when combined with other procedures. Blepharoplasties are usually outpatient procedures; however, an overnight stay for observation may be necessary if combined with another procedure, such as a brow lift or facelift. Immediately following surgery, you can expect moderate swelling and bruising of the eyelids and cheeks. Swelling can be controlled with elevation of your head and cool compresses over your eyes. Because of the swelling, you may have some difficulty closing your eyes completely for the first few days after surgery. To minimize the risk of dry eyes, an eye lubricant will be placed in your eyes during surgery. Most patients will be able to resume their normal daily activities within 2-3 days of surgery; however, you may not be socially presentable for approximately the first 7 to 10 days. Postoperative pain is managed well with oral pain medication that will be prescribed to you prior to surgery. You will also be given a prescription for an antibiotic ointment to place along the eyelid incisions and eye drops to prevent dry eyes. The initial postoperative swelling will persist for approximately one week and will subside after 2 weeks. Because patients respond differently to surgery, swelling may persist longer in some patients. In the first few weeks following surgery, your eyelids may remain puffy, and the incisions may stay pink. These changes usually resolve in approximately 4 to 6 weeks. By 3 months post-op, the incisions are largely imperceptible. Some patients experience excess tearing or increased sensitivity to light; however, these symptoms usually resolve within about 3 to 4 weeks. 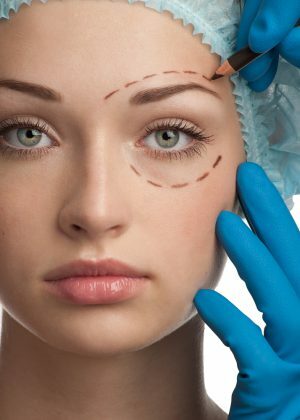 What are the complications of blepharoplasty surgery? In the hands of a well-trained board certified plastic surgeon, the risk of complications with blepharoplasty is low. Some patients may experience some temporary blurry or double vision that will resolve within a week of surgery. Although bruising is common after surgery, the risk of significant bleeding is rare. Delayed bleeding following surgery may result in the formation of a blood collection under the incisions, which is called a hematoma. This occurs less than 1% of the time. Hematomas may require surgical re-exploration for drainage. Although blepharoplasties are performed with precision to ensure symmetry of eyelid position, some patients may have some persistent asymmetry that requires additional surgical correction. Some patients may develop some raised edges at the end of the incisions that usually resolve with time. If these swellings persist, they can often be corrected with a simple office procedure under local anesthetic. 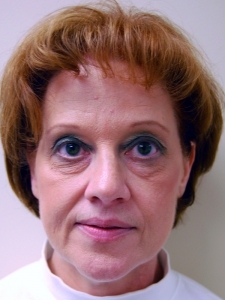 Rarely, after lower lid blepharoplasty, patients may develop some downward pulling of the margins of the lower lid. In many cases, this will resolve with gentle massaging of the lower eyelids or simple office-based maneuvers. Rarely, in approximately 2% of cases, correction requires additional surgical procedures. 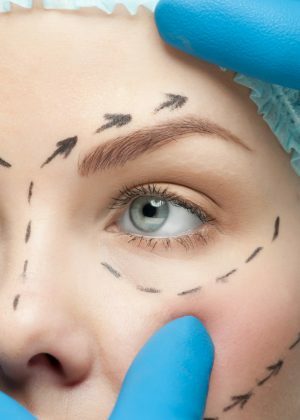 On average, the cost of eyelid surgery in the U.S. is about $3,026, which does not include anesthesia, surgical facility fees, or related expenses—as noted in the American Society of Plastic Surgeons’ 2017 statistics. Since Dr. Zemmel customizes each blepharoplasty to meet the unique needs of the patient, the total price will vary. Many factors can influence the cost of blepharoplasty, including which type(s) of eyelid surgery is required as well as the overall complexity of the surgery. When comparing the price of blepharoplasty among various doctors, make sure to ask what is included in the total cost. Hospital or operating facility fees, anesthesiologist fees, and post-operative medications or drops may not be included in the initial quote depending upon the provider. The experience of the plastic surgeon and the geographic location of the practice can also impact the total cost of blepharoplasty. Dr. Zemmel can provide you with the total cost of your custom-tailored procedure at the end of your preliminary consultation. For patients who are undergoing upper blepharoplasty to restore their field of vision, the procedure may be covered by their health insurance provider as a medical necessity. Patients may be required to attain preauthorization from their health insurance provider or a referral from their primary care physician. In addition, depending upon the details of the individual’s personal health insurance plan, patients may be responsible for a copay or to meet a deductible. Patients who are choosing blepharoplasty solely for cosmetic benefits may take advantage of our plastic surgery financing options. Third-party lending companies, such as CareCredit® and Prosper Healthcare Lending™, can offer financing plans with low monthly installments and little to no interest. To learn more about applying for these plans, please contact a member of our staff today. To learn more about eyelid surgery, please contact Richmond Aesthetic Surgery today. We can also schedule an appointment for you with one of our plastic surgeons for a consultation.